The 18th-century Dutch Colonial mansion now known as Hasbrouck House will debut its new restaurant and 17 boutique hotel suites this spring. Photo by Quyn Duong. 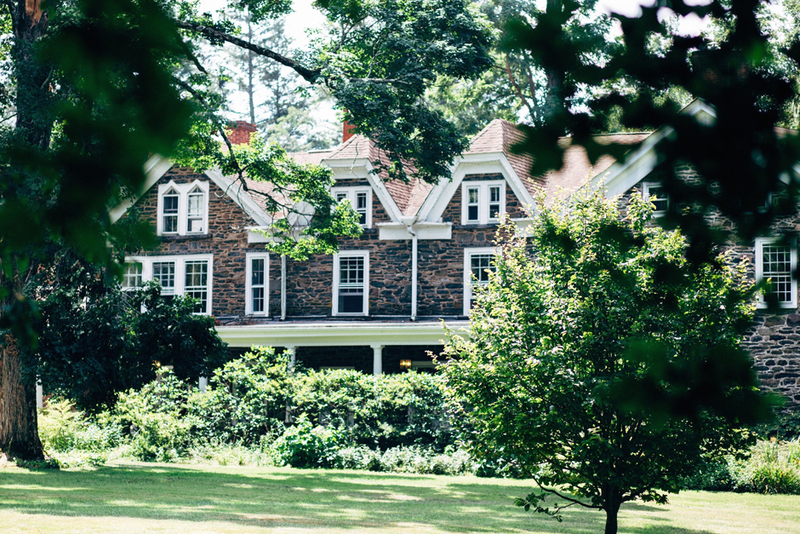 Hasbrouck House, the latest addition to the Catskills’ growing inventory of rebooted historic inns, brings a new restaurant to Stone Ridge in Ulster County this spring. Called Butterfield, it will offer New American cuisine featuring locally grown ingredients on a seasonal menu, Hasbrouck House General Manager James Anthony tells Catskill Eats. Scheduled to open in early May, Butterfield will be helmed by chef Tibor Kogler, a native of Hungary and a graduate of Sullivan County Community College’s culinary program. Kogler joins the Hasbrouck House team after stints in New York City working for industry pioneers like Chef Bill Telepan. After leaving the city for upstate pursuits, Kogler held several positions in Westchester and Hudson Valley restaurants, including Aroma Thyme Bistro. During his tenure at Ellenville’s Tavern at the Gunks in 2011, the restaurant was named one of Hudson Valley Magazine’s best new restaurants. With its two dining rooms and a bluestone patio, Butterfield will seat about 100 diners indoors and out, serving brunch and dinner daily, Anthony said. A chef’s table will host special meals, while a club room lounge and a bar complete the plan. The beverage program centers on regional beer, cider and spirits, as well as Irving Farm Coffee, said Anthony, who in addition to heading up Hasbrouck House is also the founder of the Phoenicia Flea, a pop-up artisan market. Hasbrouck House, an 18th-century Dutch Colonial mansion formerly known as the Inn at Stone Ridge, has been revamped by owners Akiva Reich and Eitan Baron to preserve the property’s history while adding modern amenities. (The restaurant’s name, for example, is an homage to the area’s nickname during the Colonial period.) The lodging operation, which includes 17 boutique-hotel-style suites, is scheduled to host its first hotel guests on Memorial Day weekend. The inn is also available for private events and weddings. Find Butterfield at Hasbrouck House, 3805 Route 209, Stone Ridge, beginning in May. For more on old Catskill inns finding new life, read our story here. For a preview of other restaurants opening in 2016, see our round-up here. If anyone’s trying to check out the Hasbrouck House website and getting a security warning from their browser, try the alternate URL https://hasbrouckhouse.squarespace.com instead until the SSL certificate issue is worked out.